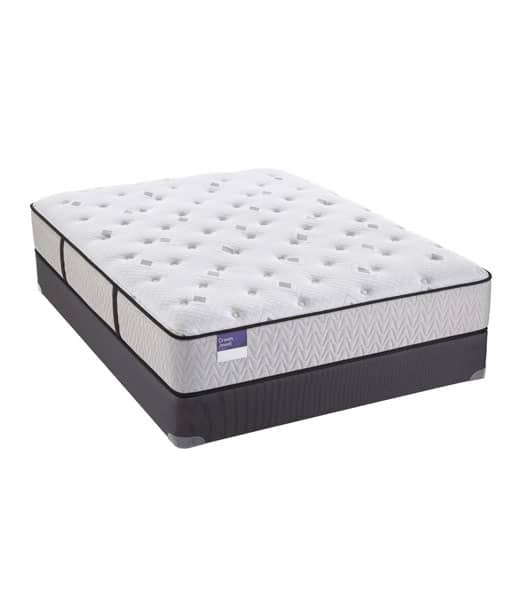 Plush softness paired with the adaptive support and pressure relief of TEMPUR® material. Cooling Cover Performance fabric cover that’s lightweight, breathable and infused with innovative cooling technology to help create a cooler sleeping surface. 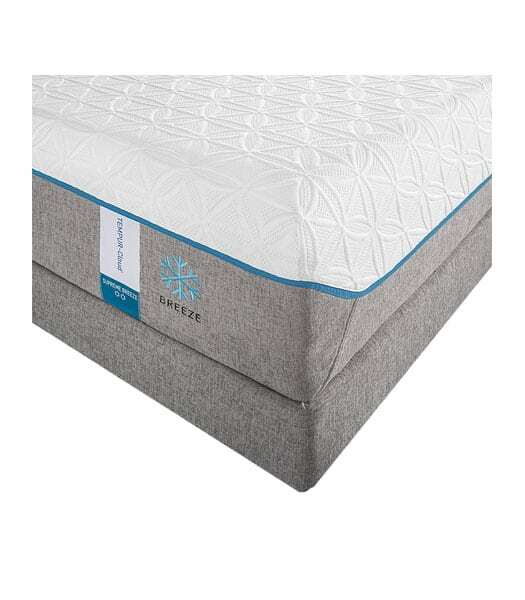 Comfort Layer Extra-soft TEMPUR-ES® material is infused with PureCool™ for cooling comfort, determining the mattress feel and level of TEMPUR-Adapt™ and drawing excess heat away from the body. Support Layer Formulated from TEMPUR® material, the ultra-breathable TEMPUR-Climate™ layer provides support, distributes body weight and channels excess heat out of the mattress. Base Layer TEMPUR® material, helps disperse heat from the mattress. Available with Flat or Adjustable foundation. We don’t recommend electric blanket / heating pad use with your mattress. 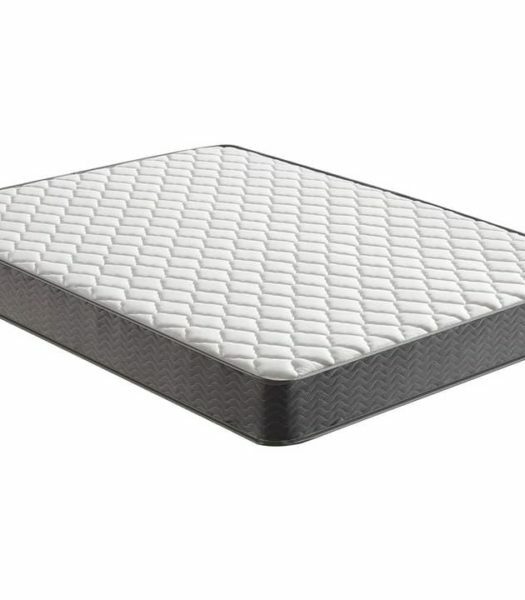 We don’t recommend conventional mattress pads/covers. 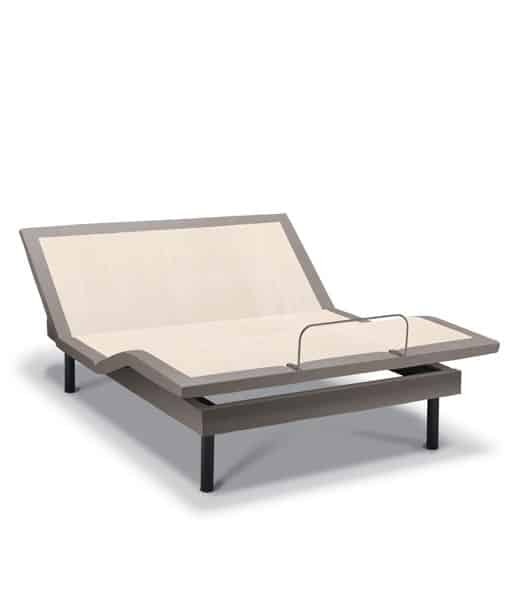 We offer the MattressProtector by Tempur-Pedic™. Most covers can be removed and washed. Use cold temperature machine wash,cool setting for machine dry. Soak up spills using towels, let the mattress air dry. 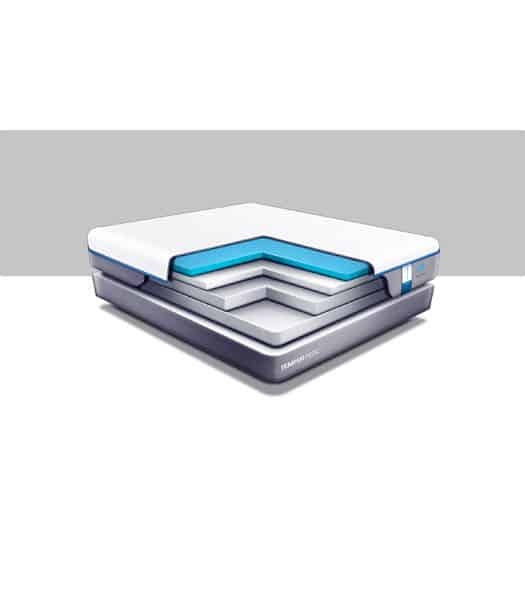 Patented, one-sided mattress design means you’ll never have to flip or turn it. 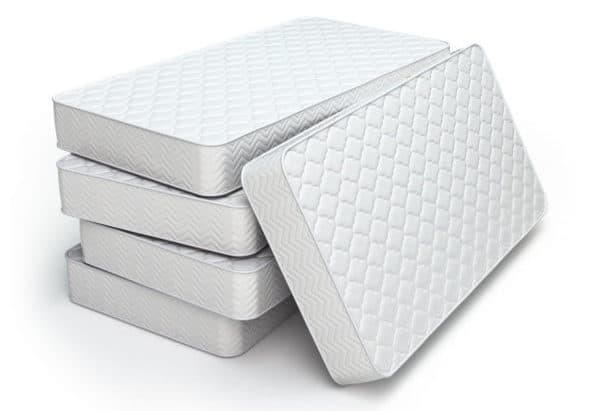 You can fold your mattress to move, TEMPUR® side (top) in. 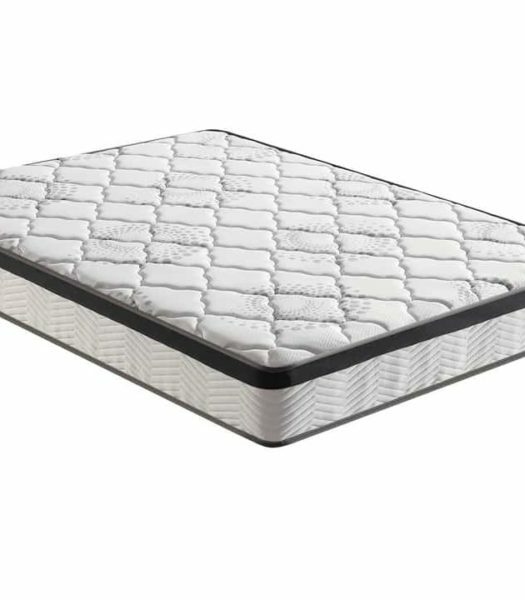 If mattress in below 50°F folded, do not force it flat. It may take a few hours. When transporting / storing, lay flat, not on side or folded. The handles are for positioning, not for carrying. Change Your Sleep. Change Your Life. There’s nothing like a Tempur-Pedic®. Our proprietary TEMPUR® material changed the way the world sleeps. And it can do the same for you. TEMPUR material responds to your body’s temperature, weight and shape for truly personalized comfort and support. As it conforms to your body, TEMPUR material minimizes pressure points that keep you awake. 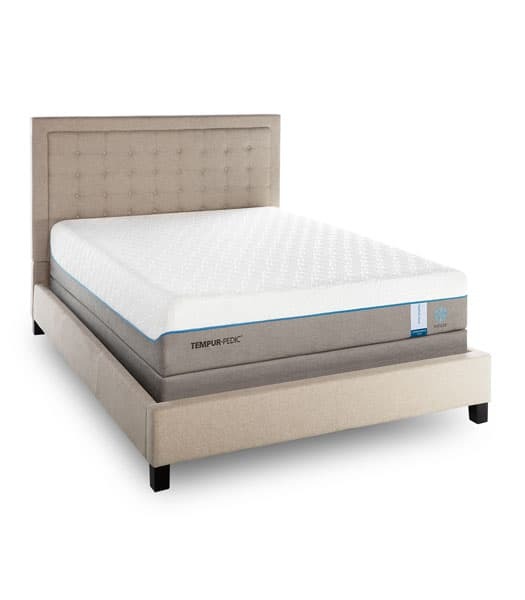 TEMPUR material dramatically reduces motion transfer so your sleep partner’s movement won’t disturb you. Find the Feel That's Right for You. Soft, firm, or in-between – we have a wide range of feels and options so you can find a mattress that fits you perfectly.